Weed could be a good investment. Dispensaries keep getting license to sell recreational weed products, necessitating more products from more businesses. It’s a growing industry, and people are starting to see that there’s money to be made here. If you’re wary, you wouldn’t be the only one. None of these are recommendations. 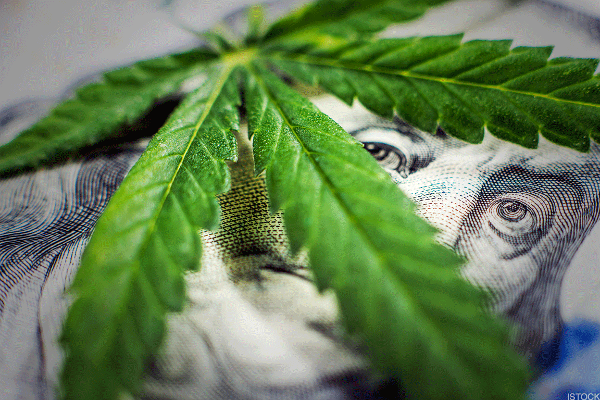 Cannabis remains illegal federally, and financial resources are limited. In addition, while the industry expands, the initial stocks haven’t exploded quite the same way. People looking to make an immediate profit probably won’t find it. But if you believe in the potential of cannabis investments and are willing to make long-term investments, here are some of the ways you can do that. Cannabis stocks are such a new and unusual investment that even compared to your usual investments, there’s no such thing as a “safe bet.” But should you choose to take a chance, medical marijuana presents you with more options. Far more states have legalized medical than recreational cannabis, and Canada has had medical weed for nearly two decades. There are some investments that can be found on major stock exchanges both in the U.S. and Canada, however many of them exist on over-the-counter exchanges (OTC), where securities and stocks are traded through dealers as opposed to a centralized network like NASDAQ. Some of these Canadian companies have shown themselves to be intriguing players in the market. OrganiGram (OGRMF) , a licensed producer and grower of medical marijuana, is coming off a strong Q2 as of this writing. As the number of medical cannabis patients in the country grows, so have OrganiGram’s sales, in no small part due to their production of cannabis oil. Canopy Growth Corporation (TWMJF) is another popular option, a Canadian company that not only produces but researches and studies cannabis. It was recently valued at around $4.35 billion, and Bank of Montreal helps finance it, giving it a leg up on the competition. One of its main competitors, Aurora Cannabis (ACBFF) , is expanding its number of growth facilities and purchased competitor CanniMed Therapeutics. The first cannabis company to actually trade on a major U.S. exchange was a Canadian company, Cronos Group Inc. (CRON) , which trades on the NASDAQ. Like Aurora, Cronos is doing its share of growing, expanding internationally. What has drawn some people toward it is what has scared others away: volatility. Its overall decline this year hasn’t stopped it from having random days of jumping up 14%. There are several other fairly prominent medical marijuana in Canada as well you may wish to look into, like Med ReLeaf (MEDFF) and Aphria (APHQF) . Unfortunately, with medical cannabis not as widespread here as it is in Canada, the market is a bit lacking. This is why people have sought to find Canadian companies, which are far more plentiful. Previous Post Should You Invest In Cannabis Stocks?